We look forward to welcoming the Class of 2023, our new Bulldogs! We are excited about having the Class of 2023 join the Bulldog Family. We would like to make the transition from middle school to high school a positive and successful experience. 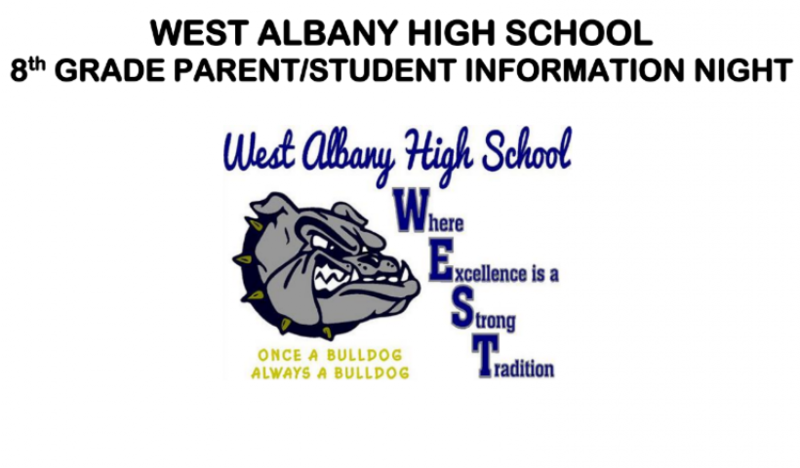 You will have the opportunity to learn more about West Albany academics and activities at our information night. Parents and students are invited.